Jean Valjean: Alone at the end of the day, upon this wedding night I pray. Take these children, my Lord, to thy embrace and show them grace.God on high,hear my prayer.Take me now,to the care.Where you are,let me be.Take me now!Take me there!Bring me home!Bring me home! Cosette: Papa, papa, I do not understand!Are you alright? Why did you go away! Jean Valjean: Cosette, my child! Am I forgiven now?Thank God, thank God! I lived to see this day! Marius: It's you who must forgive a thoughtless fool!It's you who must forgive a thankless man!It's thanks to you that I am living.And again I lay down my life atyour feet.Cosette, your father is a saint!When they wounded me he took me from the barricade,carried like a babe and brought me home to you. Jean Valjean: Now you are here,again beside me.Now I can die in peace,for now my life is blessed. Cosette: You will live, papa, you're going to live!It's too soon, too soon to say goodbye! 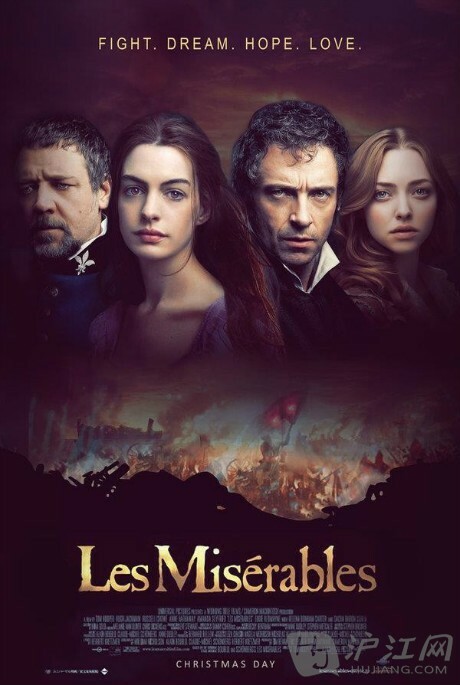 Jean Valjean: Yes, Cosette, forbid me now to die!I'll obey.I will try.On this page, I write my last confession.Read it well, when I, at last, am sleeping.It's the story of one who turned from hating,a man who only learn to love when you were in his keeping. Fantine: Come with me,where chains will never bind you. Fantine: All your grief at last, at last, behind you.Lord in heaven,look down on him in mercy. Fantine: Take my hand,I lead you to salvation.Take my love,for love is everlasting. Three: And rememberthe truth that once was spoken,to love another person is to see the face of God. All People: Do you hear the people sing lost in the valley of the night?It is the music of a people who are climbing to the light.For the wretched of the earth, there is a flame that never dies.Even the darkest night will end and the sun will rise.We will live again in freedom in the garden of the Lord.We will walk behind the plough-share.We will put away the sword.The chain will be broken and all men will have their reward.Will you join in our crusade?Who will be strong and stand withme?Somewhere beyond the barricade is there a world you long to see?Do you hear the people sing? Say, do you hear the distant drums?It is the future that they bring when tomorrow comes!Will you join in our crusade?Who will be strong and stand with me?Somewhere beyond the barricade is there a world you long to see?Do you hear the people sing? Say, do you hear the distant drums?It is the future that we bring when tomorrow comes.Tomorrow comes!